The hearing on a 32 year old PIL which urged urgent steps to clean up the Ganga resumed today with the bench headed by Chief Justice J S Khehar seeking a status report from the centre on the steps taken to set up sewage treatment plants along the banks of the holy river. The bench which also comprises of Justice D Y Chandrachud asked the Centre to file the report by next Tuesday when it “will pass detailed orders”. “We do not intend to keep it pending. It is a very old and an important matter.Let us finish it off”, the bench said when petitioner and environmentalist M C Mehta said precious little had been done in the last 32 years and the PIL is pending since 1985 despite the successive government spending crores of rupees. “Absolutely not. We don’t want to keep it alive. We want to do it by 2018,” Solicitor General Ranjit Kumar had submitted. The court had said the government should be “more worried” about the pollution in the river since this government had pledged its commitment to the issue. 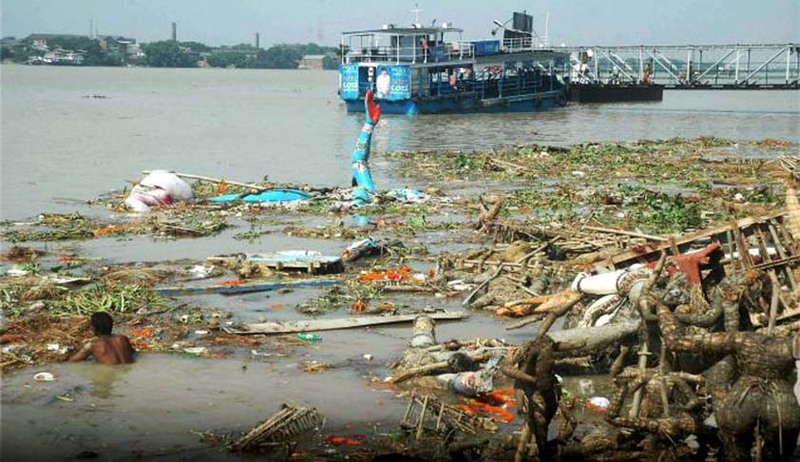 “The net effect as on today is that Rs 2,000 crore has already been spent and the river is still polluted. Fortunately money is not a problem with the government but we want to see the results on ground. Show us the output that can be objectively verified,” the bench told the Solicitor General. Kumar drew the court’s attention to the government’s last affidavit wherein it had highlighted creation of a new ministry — the Ministry of Water Resources, River Development & Ganga Rejuvenation — and submitted that cleaning the river remained a top priority. He also read out the progress made in the relevant projects.